Maximizing LinkedIn for business is essential, not only because it’s the world’s largest business network with 575 million members, but also because (according to Oktopost), 80% of social media business-to-business leads come through LinkedIn. To reach your prospects, you must learn to use LinkedIn to find and reach your prospects and to create a LinkedIn presence that draws them to you. You’ve likely heard the buzz about LinkedIn. LinkedIn IS powerful for business … but only if you know how to use it. That’s why I’m excited to introduce today’s speaker. She’s a well-known LinkedIn expert, trainer, and author who will teach us exactly what to do to find and reach our target customers and to turbo charge our sales on the world’s largest business network – LinkedIn. Before becoming a LinkedIn expert, our speaker led communications and advertising at some of St. Louis’ finest companies including Enterprise Rent-A-Car (Enterprise Holdings), Brown Shoe (now Caleres) and CBS Radio where she and her teams racked up 27 awards for communications excellence. It was her love of communicating that led her to start her popular blog to help the unemployed and miserably employed land a great career. And it was during her occasional stints at being unemployed and miserably employed herself that she discovered the wonders of LinkedIn. She used the site to land two jobs and went on to use LinkedIn to promote her own successful company. She trains individuals, companies and nonprofits to make the most of LinkedIn to reach their target prospects -- whether those prospects are employers, customers, job candidates or donors. 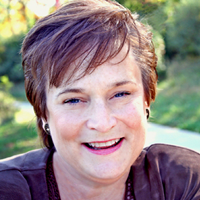 She’s all about furthering your goals for business or career … so let’s welcome the LinkedIn Whisperer … Kathy Bernard!